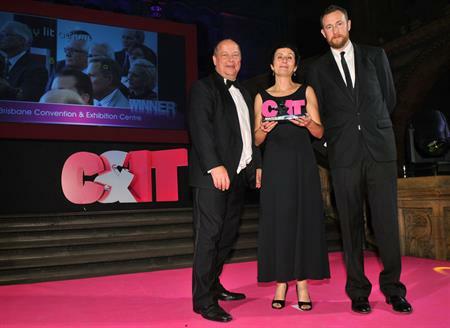 The C&IT Excellence Awards will this September celebrate its third anniversary and we are inviting corporate and association event planners, agencies, venues and destinations to submit their entries for the 2013 celebration for the best in C&I. As part of the awards’ evolution, C&IT has added a number of new categories to better reflect the scope of the industry, as well as tweaking some of the existing ones. Among the new categories, Agency of the Year will make its debut this September. The award will be given to an agency that demonstrates an impressive year across a number of criteria, including financial performance, new business growth, staff retention, CSR, innovative business practices and rigorous ROI across its client portfolio. Other new categories include Best UK Conference Hotel and Best Overseas Conference Hotel. Both awards will recognise a hotel team that has flown the flag for their venue to the fullest. Entrants must provide examples of how it has provided conference clients with value, excellent facilities and service, as well as how it has used innovative marketing methods used to promote the profile of the venue and boost group bookings. Meanwhile, the previous Destination Marketing Team category is now split between two new categories: Best UK C&I Destination and Best Overseas C&I Destination. After two years of carousing and dining under the diplodocus of the Natural History Museum, C&IT felt it was time for a change. The 2013 awards will see a change in venue. Details will be forthcoming online at www.citmagazine.com, so keep your eyes peeled. A judging panel for the awards will be decided in the coming weeks – an array of industry luminaries from across the B2B event sector. The C&IT Awards will be supported by a number of commercial partners, which to date include, Arsenal, DRP Group, CEI, Grimaldi Forum, Kerzner, Lord’s Cricket Ground and Malta.